Not everyone knows that nails come in different structures. All most people really care about is how the nails hold woods and lumber in place. However, carpenters and artisans understand the ongoing rivalry about clipped head nailer vs. round head nailer. Even though both achieve the same ultimate function of nails, it’s essential to establish the uniqueness of both framing nailers and which you should pick when you have a project. Before we delve deep into the differences between both framing nailers, let’s shed some light on nails and nail heads. What’s the Fuss About Nail Heads? The top of a nail which remains visible even after the nail has been drilled into wood is the nail head. Most nails you see around have the nail head, and it’s a little interesting to note that the debate about nails heads have been existing for a while now. Let’s take you down memory lane before framing nailers became popular. In old times, construction was done mainly with round head nails. They were more reliable for supporting wood and frames. However, when nail guns found their way into the building and construction industry, companies saw the need to reduce the head of nails to allow many nails fit into the clips at once. The clipping away, therefore, produces a D-like top instead of a full circular flat surface. Nonetheless, we’ll like to say that the nail head doesn’t necessarily predict the strength of a nail. In fact, engineers and contractors agree that the clipped head nail goes deeper into wood. A major factor that affects the choice of framing nailer is the building code in some regions. The building code in your area may require that you use a round head nailer. 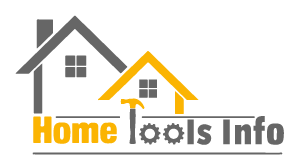 So, before you make a choice of which nailer to use, find out the building code for that region. And if you can’t get any answers to this, preferably go with the traditional round head nailer. The shape of the clipped head nail requires a framing tool that can shoot it correctly. And this is the function of the clipped head nailer. The clipped head nailer allows you to work with more than one nail at a time. More so, using this type of framing nailer often produces a fine nailing job and gives the wood surface a smooth look. Other impressive benefits of this nailer is that it saves time, since you spend less time picking one nail after the other, and it is capable of holding nails firmly. Also, since production cost is reduced, it means you get a more cost effective option of nailer when you choose the clipped head nailer. If you observe the magazines in the clipped head nailer, you’ll see that they’re smaller and they give the nailer a lighter feel. As for the downsides, clipped head nails are not allowed in regions which are prone to high winds. Also, reviews have shown that jamming is a major problem with this one, and in a case where you had to remove the nails, the clipped head would make it really difficult. Such demerits seem to outweigh the actual benefits of the nailer. The round head nailer is the nail gun designed for the original nails – the round head nails. Most building codes favor the round head nailer because round head nails seem to have stronger holds in woods. In cases of hurricanes, tornadoes, earthquakes or storms, there’s every chance that wood kept in place by round head nails will remain firm. Round head nails normally would not go deep into wood; so in situations where you had to retrieve the nail with the nailer, there won’t be any difficulties. This type of nailer has a higher holding power and doesn’t require excess driving of nails into wood. It’s important to note that since the round head nail is the most commonly used, there are more varieties of it on the market. With round head nailers, you can expect more security when a structure is completed. The clipped head nailer does not provide this type of guarantee. And it produces fast nailing, even though it may require some more time with fitting one nail at a time. On the downside though, the round head nailer requires caution, since the nail heads are usually too large to fit. It can only hold a few nails at once, thereby reducing its efficiency by a tiny bit. What are the Main Differences Between Both Framing Nailers? Now that you know what each type of framing nailer looks like and how each functions, let’s consider the actual differences that have engineered the clipped head nailer vs. round head nailer controversies. Before you begin any project, you should find out if inspectors will approve of your choice of nails. What’s the implication of this? Most jurisdictions approve of round head nailers because they have a higher holding power when compared with the clipped head nailer. On occasions of natural disasters caused by heavy wind, the round head nailer can provide sufficient support to protect the structures of a property. Another major difference is the difficulty level of removing the nails in a case of error or disapproval by the client. In the case of clipped head nailers, nail guns may not be able to retrieve the nail without leaving smears in the wood. However, if you use full round nails, the round head nailer can bring them out neatly and easily. But as far as performance is concerned, both nails work effectively since the real strength of a nail is in the shaft not the head. And if you’ll prefer to sit on the fence, there are hybrid nails that are neither clipped or round. They can be used in clipper head nailers to function like round head nailers. 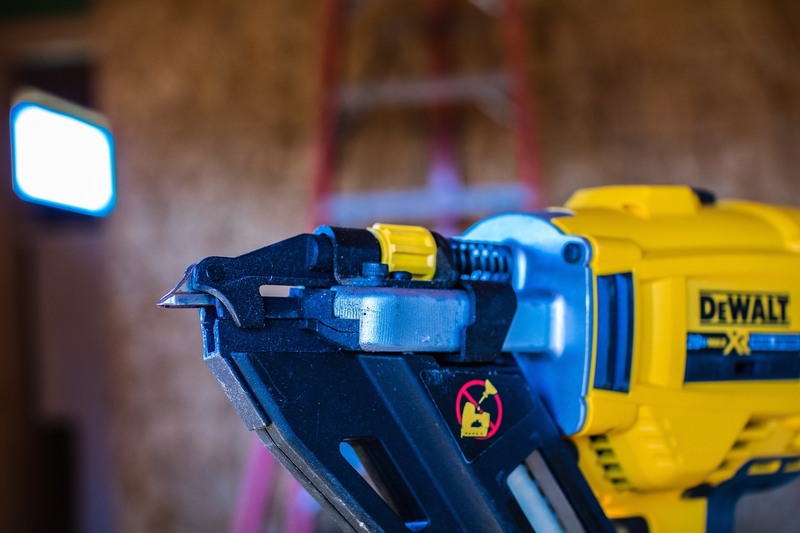 With the prevailing questioning of the better option of nailer for construction and building projects, it’s important that you understand nail heads and the two main types of framing nailers. To recap, the round head nailer is mostly preferred by engineers, contractors, and governments because of the security attached to round head nails. Clipped head nailers, on the other hand, are ideal for doing a faster and neater nailing job. Yet, we must emphasize that both nailers have their pros and cons, and you should consider your building project type and the approved nails in your area of construction. As much as possible, choose what your client wants or find out the acceptable thing from other carpenters. Don’t be so quick to choose one over the other since they have their different purposes and downsides. Above all, the clipped head nailer vs. round head nailer debate may not be resolved by this post. But we hope that you’ve gained a better understanding of how they look like and what benefits they offer as power tools.